Last February 11, LIGO experiment has proved that gravitational waves exists and opened a new era of astrophysics, right? - Wrong, two brothers from Dayton, OH, became the first people to prove the existence of such waves, three years ago. - But they have witnesses? - Yes, some people who were near saw it. Today an affirmation as these would be considered ridiculous, misplaced and with total lack of criteria - an absurd, but it was exactly what happened to Santos-Dumont. The morning of November 12th 1906 the world was in ecstasy, for the first time the man was able to achieve the maximum dream, flying with a self-powered machine heavier-than-air in the presence of the scientific community, reporters from various countries of the world and many more hundreds of people. Some days later, American media frivolously discredited him by saying that brothers from Dayton, OH had already flown three years before Mr. Dumont, in the presence of 4 or 5 passers-by. Santos-Dumont has devoted much of his life to the flight, thoroughly studied the birds and the dynamics of flight, flew in several balloons baskets, airships designed by him in 15 years of research, created 14 previous inventions until he could effectively fly that day. But for the sake of history, Japanese community is very careful and devoted to judicious affirmations and is from Japan that comes the rescue of truth. The last edition of AGORA, a magazine for top executives distributed to passengers with a particularly high usage rate from among JAL passengers annually, brings an extensive article that describes the amazing truth about Santos=Dumont’s life, and about the historical distortions that led the Wright Brothers to the improper glory, and thrown Santos-Dumont to oblivion. “...What really made Santos-Dumont best known all over the world, was his performances in 1906 in the Bois de Boulogne with a funny powered kite-shaped airplane, named (Bis). He flew 60 meters. (The flight of Santos-Dumont was done in front of thousands of witnesses, including scientists and newspaper reporters, whereas the flight 1903 of Wright brothers was attended by only five common people). This hypothetical "historical fact" is what erroneously remains in people's minds of the XXI century around the world. But "good sense" confirms that the first to have won the heavens was the Brazilian citizen living in Paris, Alberto Santos-Dumont. 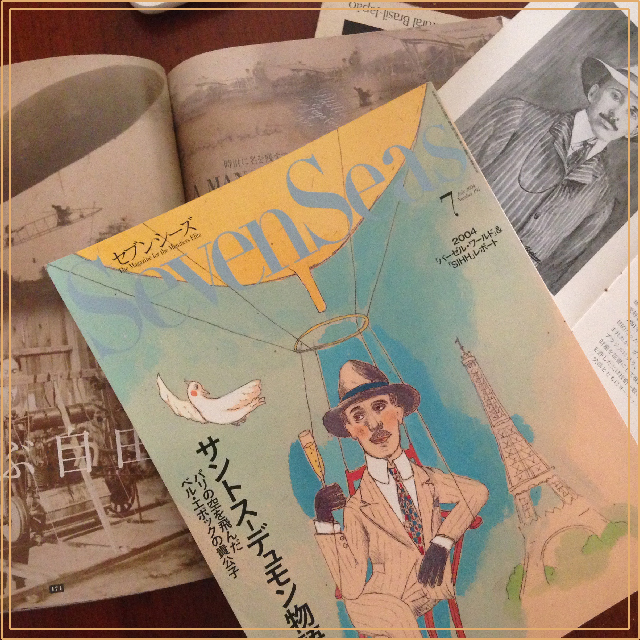 If 100 years ago, or more, you asked someone anywhere in the world, even in crowded streets of Ginza, "Do you know who Santos-Dumont is? ", People probably would say yes. 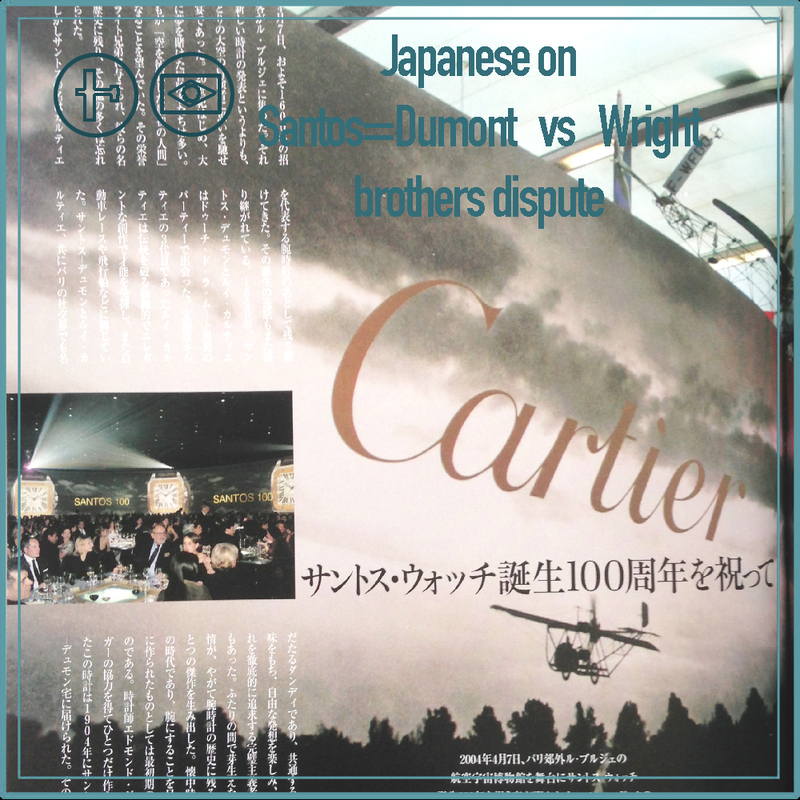 Today perhaps some people might remember him, just because the famous series 'Cartier Santos watches' (in fact, the watch was originally conceived to allow Santos-Dumont to monitor time while maneuvering his dirigible, it was presented by his dear friend, Louis Cartier). The Japanese have always given due weight to history and the achievements of Santos-Dumont. In 1976 there was a club exclusively dedicated to the aviation pioneer his noble memory. Led by Master Morita, the club was known for foster interchange of information between the Foundation Santos-Dumont, administrated at that time by deputy president, Fernando E. Lee. 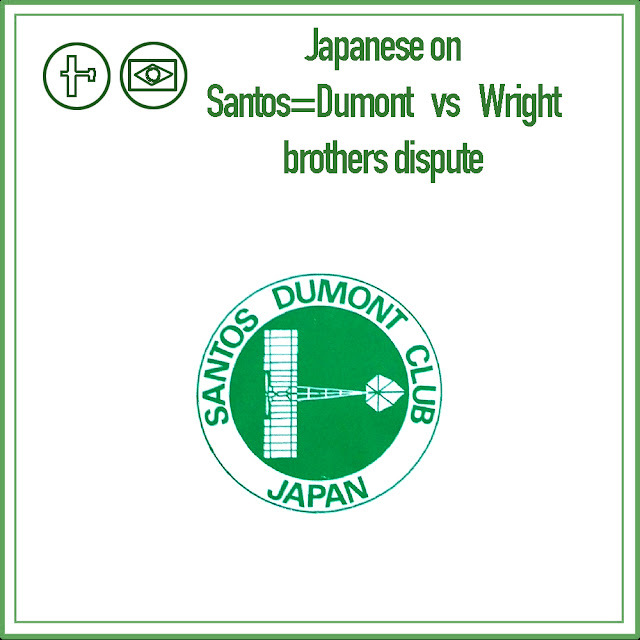 In 2004, while researching the real history of human flight discovery, two magazines published articles about the life of Santos=Dumont, the Seven Seas magazine dedicated to luxury consumers and members of the Seven Seas Club, which features 45 pages with wonderful photos showing places frequented by Santos=Dumont in Brazil and in the world and a special edition of 世界の腕時計. (The World of watches), both deal with how Santos-Dumont, a creative genius, elegant man who makes insightful research comes inventing the heavier-than-air in a thorough inventive process, but falling in the days public oblivion today, then I transcribe the text of The World of watches. “...At October 22, 1906, a bizarre shaped flight machine, such as a box kite took off in the gardens of the Bois de Boulogne in Paris, and flew 60m. It was a huge success in Europe's when the first powered flight took place. Designed and maneuvered by Santos-Dumont, the bamboo flying machine had a wingspan of 12m, total length 10m, all covered with Japanese-made silk, the canard style airship called 14-bis (bis means "again”, because it was the 14th attempt to construct a flying machine, completely designed and tested by him). Three weeks later he flew 100m with the same airship, and was awarded with the Archdeacon prize, to be given for "the one who first fly an aircraft heavier than air, for more than 100m”. But then, the Wright Brothers arrived announcing that they had already flown, on December 17, 1903 in the United States, a successful flight of 12 seconds in the light ‘Flyer1’, at the presence of observers. And thus, Santos-Dumont lost the honor to be the world's first to fly). 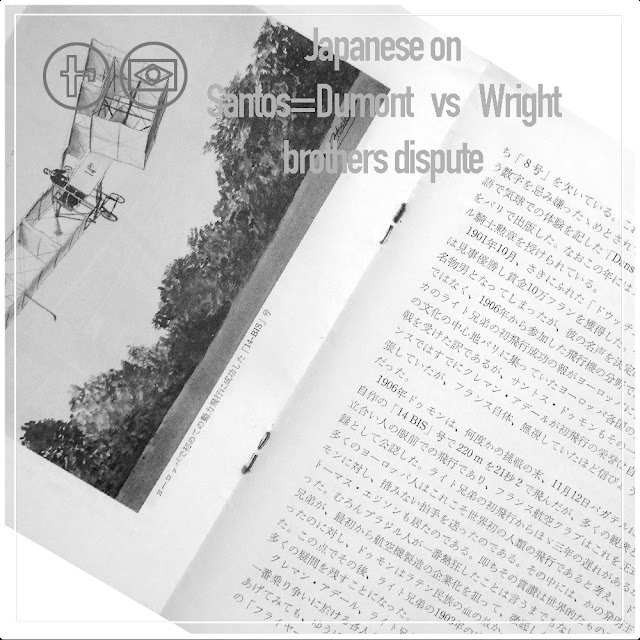 Why public opinion worldwide has decided to adopt the brothers’ and to abandon Santos-Dumont? To answer this question, I invite the reader to make a more thorough investigation. Nonetheless, I venture to say that the beginning of the century was a time of great discoveries, the supremacy of the countries was evaluated by the way they presented their inventions in world fairs. 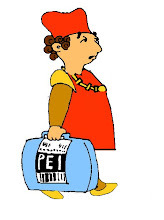 The United States of America were the inventors of marketing and have always dominated the state propaganda - Why then a man belonging to an unexpressive country, of a newly liberated colony of Portugal, would be entitled to primacy of the flight? 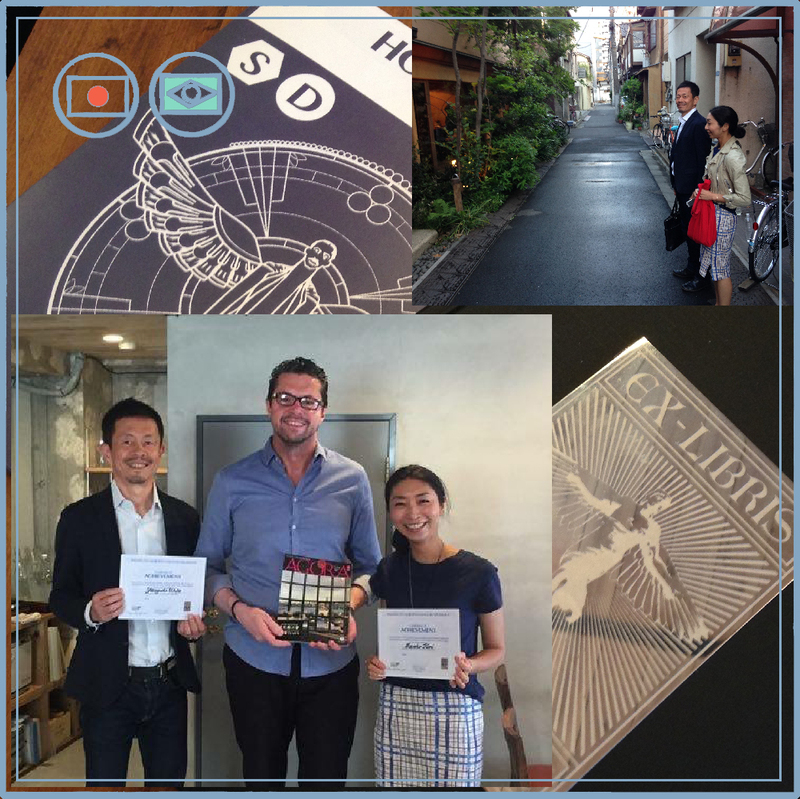 Latter April 29th, 2016, Luiz Pagano went in Japan representing the Institute ALBERTO SANTOS=DUMONT, to grant the 'Merit Flies Man' to the whole team of Agora magazine for the excellent article mentioned in the post above. Luiz Pagano, went to Japan on behalf of Institute ALBERTO SANTOS=DUMONT, to grant the MERIT MAN FLIES to Masako Hori, responsible for editorial department and brand communication of AGORA Magazine and Yasuyuki Ukita, writer, journalist and a great connoisseur of Santos=Dumont. UKita himself is a direct descendant of Kokichi Ukita (浮田幸吉 1757-1847) japanese pioner of flight. Diplomas were given to Masako Hori's editorial department and brand communication of AGORA Magazine and Yasuyuki Ukita, writer and journalist, a great connoisseur of Santos-Dumont and air navigation pioneers, himself a descendant of Kokichi Ukita (浮田幸吉 1757-1847) Japanese pioneer of flight, who perfumed many flies with special wings conceived and built by himself. 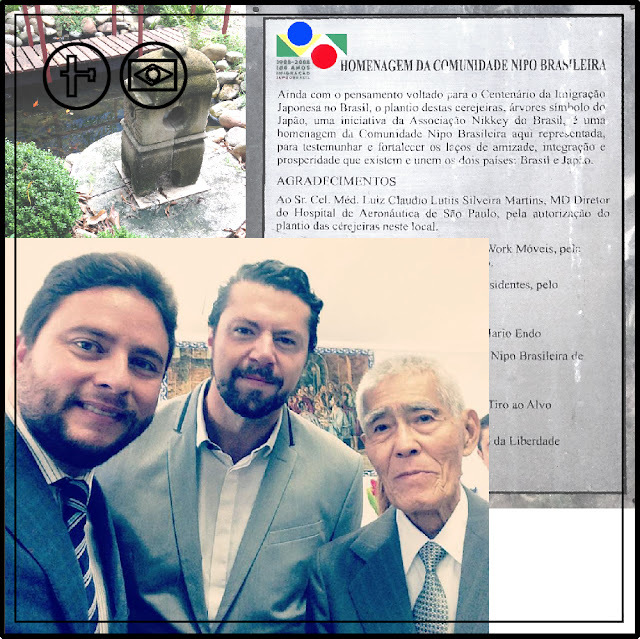 The 'Merit Man Flies', was established by the Instituto Alberto Santos=Dumont, set up by his VP, Ricardo Magalhães and aims to recognize people who are willing to engage in activities that celebrate the memory of Santos=Dumont and its ideals. To understand this honor, we must go back in time, when Santos=Dumont was still a little boy, time when there was a child's play in which, a kid asked questions out loud, such as "can pigeon fly", "can chicken fly? ", "can vulture fly?" "can bee fly?" and so on?. At every call, the kids should put up the finger and respond. But sometimes, from time to time, some one of them maliciously raised an absurd question, such as: "can dog fly? ", "can fox fly?" or some similar nonsense in order to surprise the playmates, the inattentive ones used to raise their finger accompanied by a wrong answer. To penalize thouse distracted ones, friends demanded ridiculous penalties, just for fun. 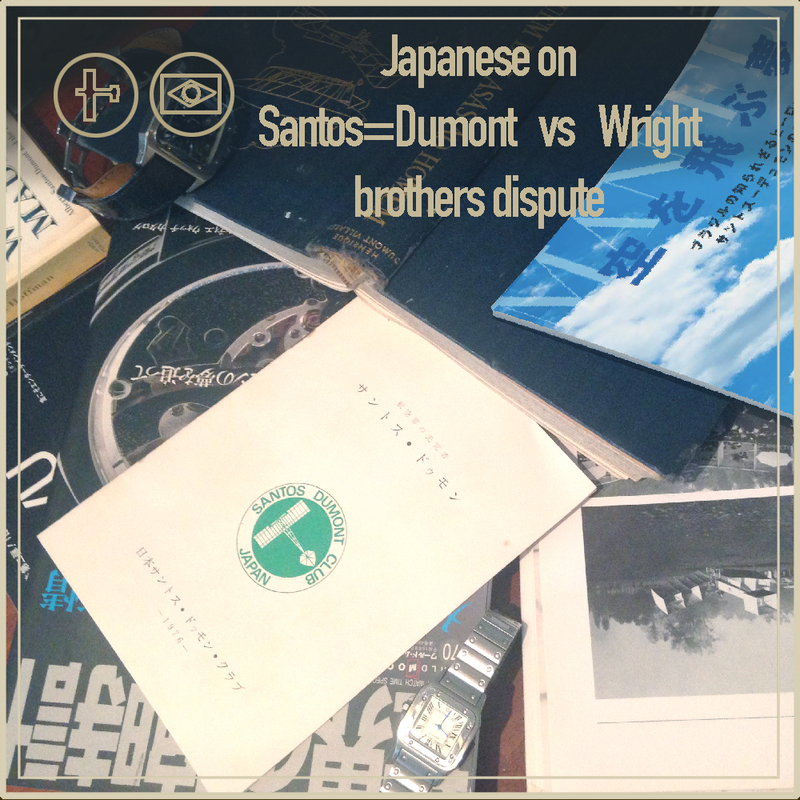 When Santos=Dumont heard the question "can man fly?" Many years before his deeds, he replied, "Man Flies!" 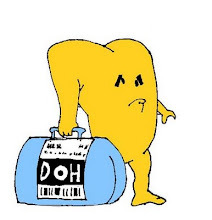 With absolute certainty intonation, and obstinately refused to pay the penalty. Because of this naive child’s play, paradoxical and prophetical in essence, we create the MAN FLIES tribute; Santos=Dumont was indeed a WINGED being who dreamed of the individual flight, as did mythological character Icarus. Most certainly, Santos=Dumont solved the problem of human flight addressing all available methods known by science at his epoch, from the lighter-than-air with balloons and airships, and then the heavier-than-air, by creating biplanes and monoplanes – he even dare to idealize the ornithopter’s flight, (he had been deemed as lunatic by the naysayers because of that) which nowadays, we are experimenting the first steps, hundred years after his first demonstrations. Many say that Santos=Dumont did more than deliver the beautiful dream of flight to humanity, judging by the elegant design of his inventions, we dare to say that he wore his flying inventions, putting himself personally into in the wicker basket, one can say without fear that Santos=Dumont invented 'flying costumes'. Creativity and innovative mind, which allows men beyond their time, to ignore real or metaphorical gravity and achieve flight, is a gift that you have, and so the Institute ALBERTO SANTOS=DUMONT recognizes you as an individual that truly believes that MAN FLIES. 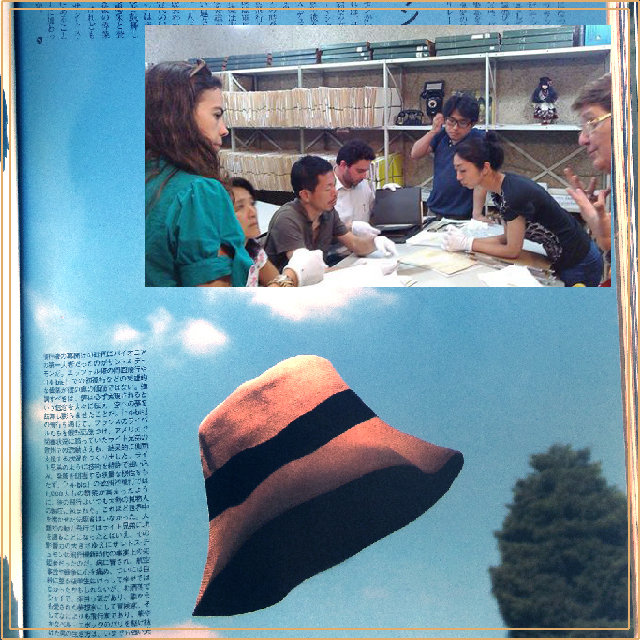 Copyright(c) 2002-2016 Fujisan Magazine Service Co., Ltd.